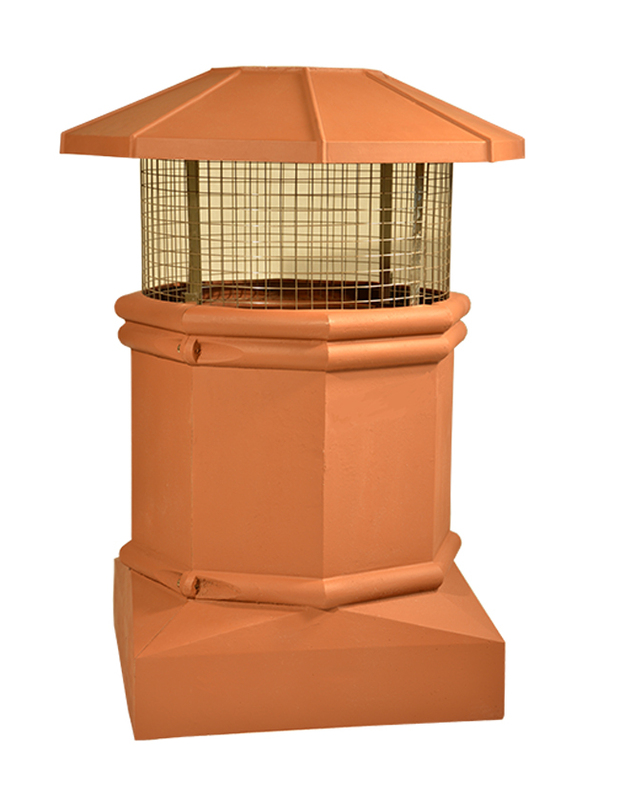 The Extend-a-Flue Cast Classic CC1818 chimney pot is made from lightweight and durable cast aluminum. 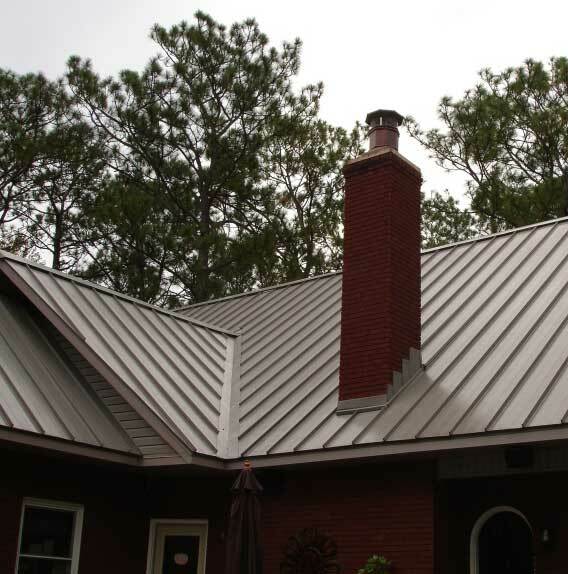 This beauty weighs in at less than 50 pounds, yet has the look and style of clay chimney pots that weigh 6 times as much. 1. 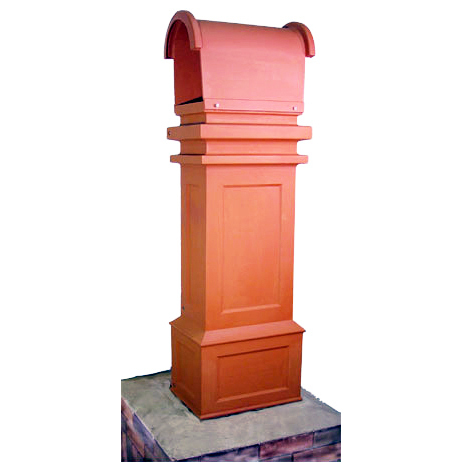 Chimney cap for 18 inch square chimney flues – the bottom of the unit measures 18 ¼ x 18 ¼ inches and stops are built into the casting to allow the unit to seat onto the flue tile. 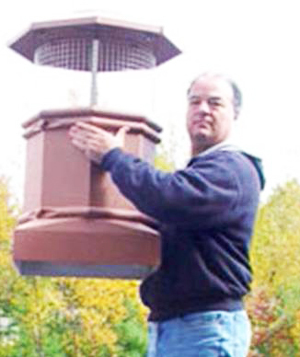 Can also fit over 11″ x 17″, 7″ x 17″ and other odd or smaller flue sizes. 2. 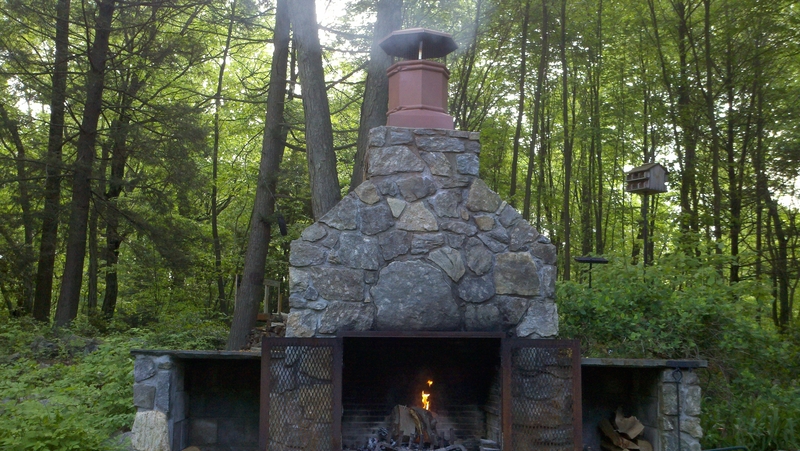 The CC1818 is ideal for outdoor fireplace use, many of which have short chimneys. 3. The large inside diameter of approx. 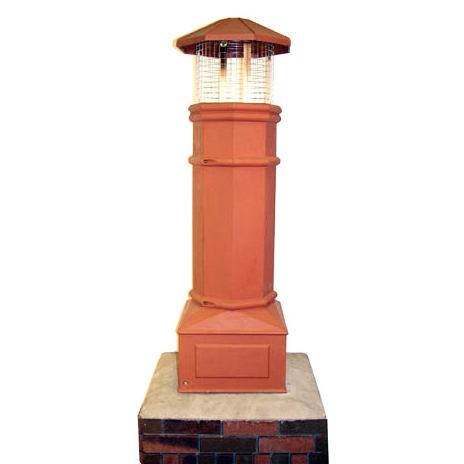 16 inches allows the CC1818 to be used as a non-combustible decorative surround around virtually any chimney lining job termination, as well as for most sizes of packed pipe. 4. 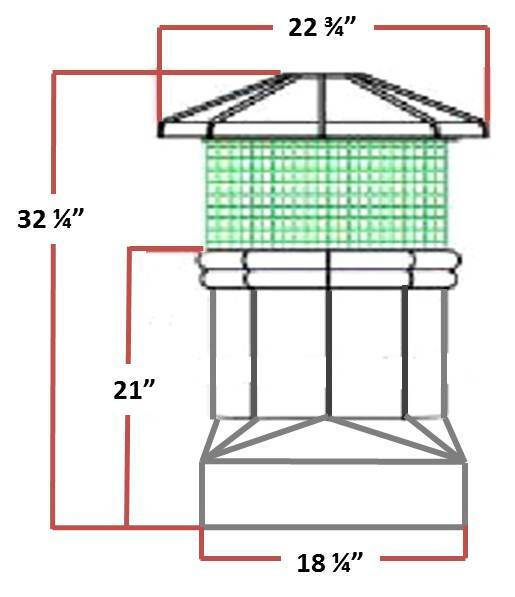 The unit can also be used to cover B-Vent and Direct-Vent pipes exiting from chase tops and masonry fireplaces – – the standard gas cap can often be used INSIDE our cap and screening. 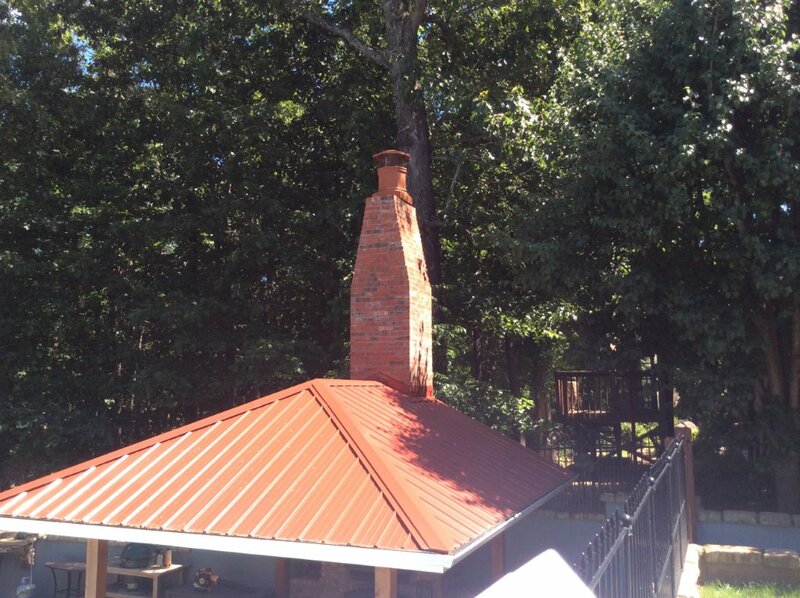 Note: The CC1818 has not yet been tested or approved for use on air-cooled, pre-fab fireplace chimneys.